Former emo kids, rejoice! 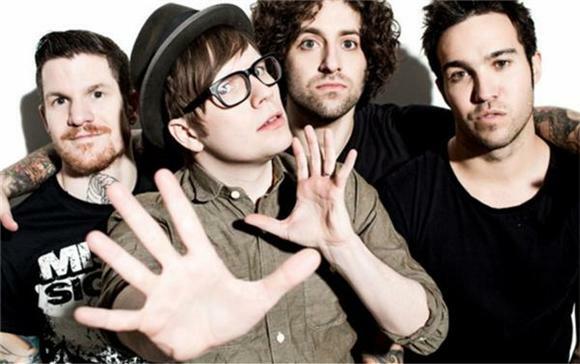 Fall Out Boy is working on a new album, and have been leading up to it with a few new tracks unlike anything they've done before. After putting out an EDM-esque collab with Steve Aoki earlier this month, pop punk's founding fathers have just released a video for "Immortals." The track comes off of the upcoming soundtrack for Disney's animated robot feature, Big Hero 6 and features some killer piccolo melodies and, of course, the unique vocal stylings of Patrick Stump. Think Disney and FOB make for a strange pair? Could be, but Pete Wentz just became a father for the second time in August, and Patrick Stump is expecting his first child sometime this month. Maybe the new music reflects their newfound parenthood. Sugar, they're settling down.